As you stare out from a castle wall to The Channel some mile or so away, it’s daunting to imagine that back in 1066, Duke William, soon to become The Conquerer, landed here at was then a fort by the harbour, to establish a base prior to launching an attack on King Harold during the most famous battle in English history. Fortifications stretch back to Roman times, with vast sections of the original towered walls still remaining and were developed further during medieval times to create the striking vision standing today. 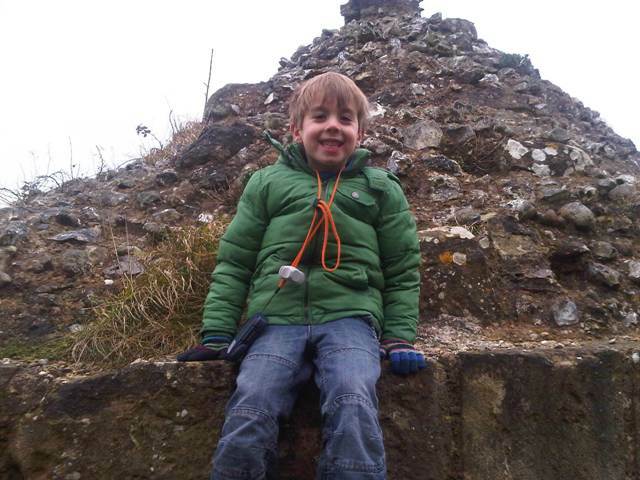 It makes for a great day out with the family as we discovered recently – despite the freezing temperatures both our little ones were captivated by the dark dungeons and a quest to discover the ghost of the ‘Pale Lady of Pevensey’! Full marks to English Heritage (and indeed my mate Miles) who brought the place to life during our visit. 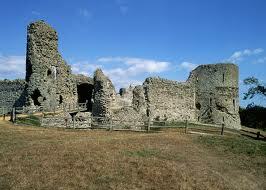 Pevensey Castle is only 5 miles East of Eastbourne so a quick 10 minutes by car. Combine it with a day at Battle Abbey, the scene of the great battle just 9 miles away. For further information or to book accommodation in Eastbourne nearby at The Guesthouse East, call Carl or Sarah on 01323 722774.